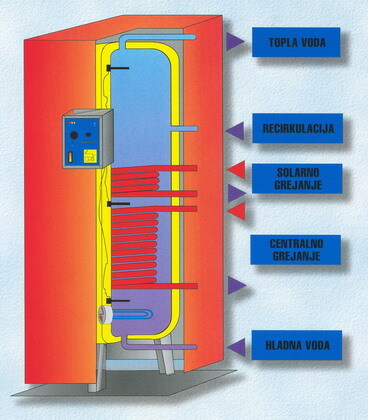 Accumulators for hot sanitary water (solar boilers) are intended for heating consumption water for the needs of households with minimal operating expenses. 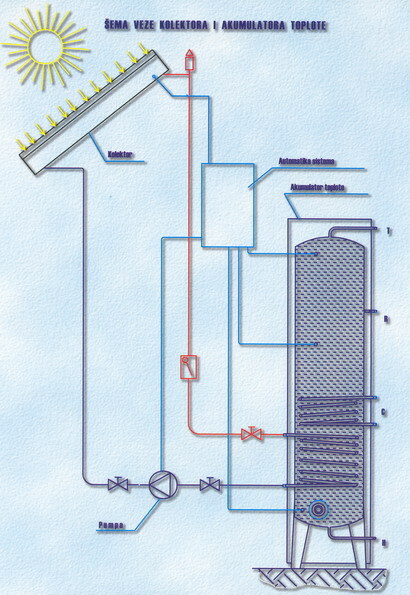 Spiral hot water heater which is connected to the central heating system. Spiral solar heater that connects to the installation of the solar systems. Electric heater for possible additional heating. Every heater by itself is enough to provide hot sanitary water for normal consumption. 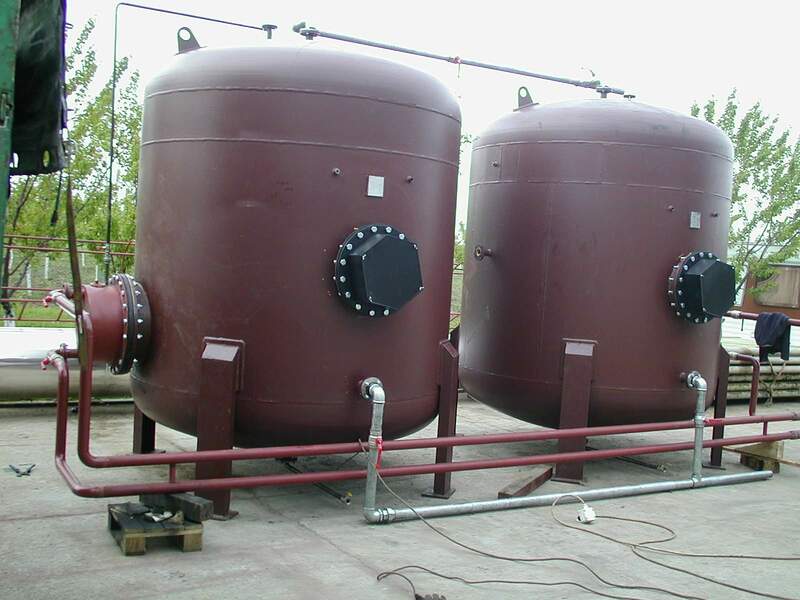 The accumulators are made of stainless steel sheets with heaters made of copper or stainless steel pipes. The dashboard in the basic variant provides automatic operation and temperature regulation when using an electric heater. When using heat from the solar thermal system, it is possible to install a programmed timer for automatic operation of the boiler. High-quality boiler insulation reduces heat loss to a minimum, and the exterior is modernly designed. "A-200" 1500 600 700 1/2"
"A-300" 2050 550 650 3/4"